He believes that his bank became subject to American attack as a punishment for providing services to Russians: in early 2018, about 30% of bank depositors and account holders were from Russia. Latvia began to welcome foreign capital in the 2000s. “We are closer than Switzerland!” – using this slogan Latvia attracted money from the CIS. Estonia focused on legal entities. A few streams from the monetary river flowing from Russia fell to the share of Lithuanian banks as well. But they did not succeed to bear much resemblance to Switzerland or, at least, Hong Kong. The Baltic financial miracle, according to the international tax authorities, turned out to be a banal laundry. By the time Latvia became the member of the European Union in 2004, Latvian banks and branches of Scandinavian conglomerates have gained a reputation of a friendly haven for Russian money. They easily opened accounts for Russians, frequently without requiring the initial amount, accepted deposits, provided brokerage services, and some even gave them mortgage loans in local currency. After the crisis of 2008, which had a knock-on effect for the Latvian economy, the benevolence of local banks for Russian capital became even stronger. In 2012, according to Bloomberg, in the Latvian banking system, the share of non-resident deposits approached 50%, reaching $10 billion; in Switzerland, the share of foreign deposits at that time was 42%. The only clients of Latvian banks were mostly Russians, who could not open accounts in Switzerland and other more prestigious jurisdictions, says Svetlana Lavrenyuk, senior specialist of the financial department at UFG Wealth Management. ABLV, Rietumu, Citadele Banka, Expobank and Norvik Banka were popular among wealthy Russians. They were attracted by favourable attitude to the origin of funds, the low cost of services and an acceptable level of requirements for documentation supporting transactions, explains Lavrenyuk. A personal manager was assigned for each client; it was possible to promptly discuss with him all issues related to account maintenance. Everything changed when the United States and the European Union declared a crusade against money laundering and tax evasion. In June 2014, Latvia signed an agreement on the exchange of tax information with the United States under the Foreign Account Tax Compliance Act (FATCA). Later Latvia had to join a similar agreement on the automatic exchange of information within the framework of the OECD. After this, Latvian banks faced problems similar to some kind of cornucopia. The Financial and Capital Market Commission, a financial regulator subordinate to the Latvian Ministry of Finance, repeatedly punished banks for violating the law on the prevention of money laundering and terrorist financing, as well as for a unthorough client checks. In March 2016, the Financial and Capital Market Commission imposed a fine of €1.1 million on Baltic International Bank, and in July 2017 fines of €1.3 million and €1.56 million on Norvik Banka and Rietumu respectively. The last two banks were also accused of a weak transaction control system, which make it possible to use them to circumvent the US sanctions against North Korea. Three more banks received fines totaling €640,000 in the summer of 2017. Against this background, non-resident deposits in Latvian banks dropped to 43% by the beginning of 2017, amounting to €9.2 billion, which is €800 million less than in 2012. Founded in 1993, ABLV tried to avoid troubles throughout its entire period of existence. Claims of the regulator regarding transactions with North Korea did not affect it, and this could provoke an attack by the American Ministry of Finance, Bernis says: “Perhaps when the US authorities understood that their prescriptions were ignored at the local level, they decided to deal a fatal blow. The destruction of ABLV could be a desire of people from the country's highest financial circles, Bernis believes. For example, the former head of the Bank of Latvia Ilmar Rimshevich, who is now under investigation due to suspicions of “trading in influence”. “I terminated dealing with the former head of the Central Bank in early 2015, since communication with him, from my point of view, became ethically unacceptable. I did not want to aggravate the situation and began to ignore him, ”says the banker. The liquidation of ABLV is not yet complete. In March 2018, the bank transferred €480 million to the Deposit Guarantee Fund for payments on insured deposits. More than half of the 22,000 clients of the bank have already received guaranteed amounts of €100,000. Payments over the guaranteed amount have not yet begun, since the liquidation team decided to verify the origin of these funds. Under the ABLV brand, there were also seven bond funds and four equity funds that invested in international markets. Their cumulative portfolio amounted to approximately €120 million. 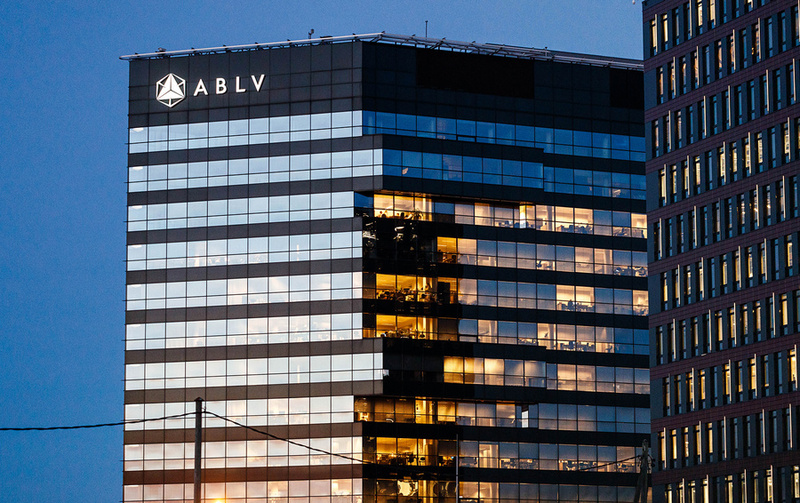 The funds were available to all bank customers, but now these funds are blocked by the European Euroclear settlement depository, its representatives complain that they cannot identify investors, says a banker close to ABLV. Bernis said that he keeps chin up and is currently creating an investment company in Latvia. According to the Forbes interlocutor in the investment services market, the favoured clients of ABLV will become participants in the future fund. “The fund will try to buy out part of the bank’s assets as part of liquidation process and continue to manage them. The bank has rather good assets, with no holes in the capital,” he explains. There are now about €300 million in total due to sympathizing participants. The defeat of ABLV may entail serious problems for Latvia: because of it local banks can be blacklisted by FATF, an international group against money laundering, said Latvian Ambassador to the US Andris Teikmanis in late December. “The fact that our credit card will not be accepted in Germany is the lesser evil. Our exports will be reduced, because transactions procedure on payment for deliveries will be complicated. This will have a great impact our entire economy,” Teikmanis outlined the scale of the problem. This threat mobilized the Latvian authorities to fight Russian money. Local “patriots” in the government wondered why there is so much Russian money in the banking system and whether this pose a risk to stability that could lead to a crisis like the Greek one, says Andrei Lyakhov, general director of Third Rome company. In February 2018, the Latvian Ministry of Finance set a goal to reduce the volume of foreign deposits in banks to 20%. And at the beginning of October 2018, the volume of deposits of non-residents decreased from €8.1 billion to €3.2 billion, or from 40% to 20.5%. Of these, 10% are deposits from the EU, 5% are deposits from CIS clients and 5% are from other countries. Nevertheless, 15 banks and 5 branches of foreign players operate in Latvia. 11 of them operate mainly with non-residents, as it follows from the commentary of the Latvian regulator for Forbes. The law against fictitious companies, which entered into force on May 9, 2018, helped the Latvian authorities reduce the presence of foreign money in the banking system. It prohibits banks from servicing accounts of legal entities not having real substance. The law led to a total refusal of Latvian banks to operate with non-residents. In the first nine months of 2018, Expobank (–82%), Danske Bank (–58%) and Rietumu (–55%) were the quickest to dispose of all foreign. The process of getting rid of foreigners was more about companies than individuals, whose funds were reduced by only 2.5%. According to one of the Latvian bankers, Rietumu suffered most of all. This bank blocked some accounts or suggested clients to transfer funds to term deposits for three years in order to avoid liquidity problems. Some clients went to court. Transactions of foreign clients in Latvian banks decreased by half compared to 2017, to a number less than €10 billion. Transfers in dollars decreased the most, there were almost none of them in 2018. One of the Latvian bankers explained in a conversation with Forbes that operations in the US currency have become expensive, require long and careful checks. Some banks focused on the domestic market, some made a focus on the premium segment, some make a turn in the direction of fintech. "In Latvia, of course, there is a political goal sounding like "the less Russian money in the system, the better." But there is no direct ban on working with Russian customers,” says Robert Idelson, Head of Signet Bank. Of all the Baltic capitals, Tallinn built perhaps the most impressive business center. The compact quarter of glittering skyscrapers, which, however, is lower than the steeple of St. Olaf's Church in the old town, is memorized by the tower of the Scandinavian SEB bank, which looks like a huge sail. This sail makes it clear where the money wind is blowing. According to the Estonian Banking Association, about 90% of the assets of the banking system are controlled by Scandinavian banks. The market is mainly divided between the Swedish groups Swedbank and SEB, as well as the Latvian Luminor Bank. The share of the largest national player, LHV Bank, accounts for only 7% of banking sector assets. The dominance of the Scandinavians in the Estonian market and the aspiration of Estonia to get into the ranks of the Nordic countries formed a more conservative financial industry in the country than in neighboring Latvia. “Unlike Latvian banks in Estonia, credit organizations practically do not work with non-resident individuals. They attracted mainly company funds. Estonian banks have always had more stringent compliance procedures and a more transparent business in general,” explains Alexander Zakharov, partner at Paragon Advice Group. According to the Bank of Estonia, non-resident deposits in the country's banking sector in 2017 amounted to only 8.5% (although yet in 2012 there were about 21%). But right there, in Estonia, one of the biggest scandals in the history of money laundering took place. In 2018, the Estonian branch of the Danish bank Danske Bank became involved in several investigations on suspicion of legalization and withdrawal of funds from Russia and the CIS countries. The first wake-up call was made in February, when the Danish newspaper Berlingske, the British The Guardian and the Center for the Study of Corruption and Organized Crime (OCCRP) informed of a report that an informant from the Estonian office transmitted to the Danske Bank leadership in Copenhagen in 2013. The note stated that the bank blocked the accounts of 21 legal entities with suspicious transactions like money laundering. By 2015, Danske Bank stopped servicing non-residents in Estonia, and also suspended from duty several employees responsible for risk management and compliance. This was accelerated for most part not by the revealed shady schemes, but by numerous warnings from the country's financial inspectorate. The supervisory authority itself confirmed this information. “In 2014, it was obvious that risk control mechanisms in the Estonian branch of Danske Bank did not work properly. We instructed the bank to fix them, but it chose to reduce the risky business with non-residents and make some changes to the bank’s management in 2015,” as it follows from comments of the financial inspection. On May 25, 2018, the financial intelligence of the Estonian Police published a report on the legalization of more than €13 billion through Estonian banks in 2011–2016. According to Police, most of these funds were withdrawn from Russia, Moldova and Azerbaijan. Particular banks were not named, but the findings of the report overlapped with the February publications on shady schemes in Danske Bank. Further the number of problems only increased. In September, the shocking outcomes of the investigation of the Promotory Financial consulting company were made public: in 2013, foreign clients made about 80,000 transactions for the total amount of $30 billion through the Estonian branch of Danske Bank. This money were mainly from Russia and the CIS countries. As a source in the company-auditor explained to Financial Times, not all of these operations are suspicious, but the amount is “astounding for a small bank branch”. The main surprise was the results of the internal investigation in Danske Bank. In 2012–2017, the organization conducted 9.5 million transactions for 15,000 non-residents amounting to more than €200 billion. Approximately 23% of all foreign funds came to the bank from Russia. Danske Bank called transactions of 6200 clients doubtful, and put under suspicion of laundering Russian money 177 non-residents. After that, Thomas Borgen, general director of Danske Bank, resigned, although he was not found guilty of violating anti-money laundering legislation. In December, 10 employees of the Estonian branch of Danske Bank, who work in the Private Banking branch, were detained. The police did not indicated the names of the suspects, but noted that there is no former head of the Estonian branch of the bank, Aivar Rehe, among them. Rosfinmonitoring also joined the investigation. The interlocutors of Forbes in the Russian department and in the financial inspectorate of Estonia said that the supervisory authorities of both countries are preparing a joint statement on the participation of structures from Russia in the Danske Bank schemes. The omnipresent US Treasury had a hand in defeating the “laundry”, according to a Forbes source close to the Estonian branch of Danske Bank, and the source dealing with international capital management. According to them, the staff of the Office of Foreign Asset Control (OFAC), along with Marshall Billingsley, US Assistant Secretary of the Treasury on Terrorism, paid a visit to Estonia in the summer. The meeting was also attended by people from the leadership of Danske Bank. “A similar meeting of Mr. Billingsley with representatives of Cypriot banks in May of this year led to a tightening of procedures for checking non-residents. Now it’s as difficult for Russians to open an account there as in any other EU country,” said one of the Forbes interlocutors. According to a banker close to Danske Bank, the credit institution launched an internal investigation, most likely under pressure from OFAC. “Financial authorities suspect some US banks, in particular JPMorgan Chase and Bank Of America Merrill Lynch, in participation in some shady schemes of the Estonian Danske Bank. So the Americans have a personal interest in this matter,” he explains. The situation in Danske Bank will lead to a further decline in the share of non-residents in Estonian banks. Of the three Baltic countries, only Lithuania has not got stung in servicing foreign clients; the share of non-residents' deposits in the country's banking system is only 2.7%. The volume of cross-border payments for 2008–2015 turned out to be one of the smallest in the European Union - only 1.3% of GDP. In the early 2000s, Lithuania, like the neighboring countries, provided services to Russian clients. Vladimir Antonov’s Snoras Bank, worked with them and then went bankrupt in 2011. But the habit to attract Russian money has not been formed in Lithuania. Eldiyar Muratov, President of the Singapore Castle Family Office, notes that a year and a half ago, his clients deposited money in the Lithuanian branches of Nordea, Danske Bank and DNB. The average deposit was about $ 3.5 million. But now, everyone who managed to do it, have already transferred his assets to Singapore. “Relocation was initiated by the clients themselves, they are tired of constant receiving “good luck letters” with a new list of documents necessary for the bank to verify the legitimacy of the origin of funds and to confirm many other operations,” explains the financier. Lithuanian bankers have repeatedly stressed that their approaches to doing business are different from those in Latvia and Estonia. After the events of 2018, they were further tightened. “In September 2018, I was in Lithuania, where I discussed one fintech project with banking lawyers,” says Sergey Vodolagin, partner at Westside law firm. “During the negotiations, Lithuanian lawyers directly said that the fact of the Russian origin of the project entails additional risks.” Any “Russian trail” will be appreciated by Lithuanian banks as a negative factor and will attract their attention. Banks want to make sure that Russian money, firstly, is of legal origin, and, secondly, does not relate to companies and individuals that are subject to sanctions, says Vodolagin. The issue of opening an account for a Russian may be considered in Lithuania for months. Igor Stukanov, EuroCollegia Chairman of the Board, notes that the procedures of checks in Baltic banks have tightened in respect of all non-EU citizens, and not just Russians. “I think that in 3-5 years such a system will work everywhere: if there is no connection with a particular country, there can be no bank account in it. Apparently, in anticipation of this, a lot of clients clients consider the possibility of obtaining a second passport or using investment programs for obtaining a residence permit,” predicts Stukanov. One of the remaining questions is where the Russians transferred money from unfriendly Latvia and Estonia. According to Stukanov, wealthy clients went to the countries where financial regulation has not yet been restructured for new realities: Serbia and Montenegro, Kazakhstan, Armenia, Belarus and Georgia. But in the nearest future similar problems may take place there: for example, on December 10, the Central Bank of Montenegro imposed a 45-day moratorium on all payments by Invest Bank Montenegro and Atlas Banka. We continue to monitor innovations in key jurisdictions and will inform you about the most significant of them. Law&Trust International has been engaged for 16 years. Our lawyers will find the best solution for your business anywhere in any part of the world.